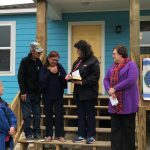 Aransas Pass (KIII NEWS) — An Aransas Pass mother and her three children who lost their home and all their possessions in Harvey got a special present on the eve of the storm’s anniversary, a new home. 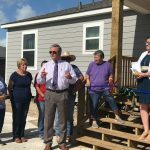 Kristian Degrange and her kids were welcomed to their new home today by representatives of several non-profit organizations who were able to provide the gift. Kristian and her children, aged 13, 10 and 5 arrived at the site of her new home after spending the past year in a hotel room. FEMA money for the hotel room ran out long ago but several groups collected private donations to keep a roof over the family’s head. Warren Phipps, director of the Coastal Bend Disaster Recovery Group, said the home was the result of the work of several organizations including Disaster Recovery for Episcopal Diocese of West Texas, the Austin Disaster Relief Network, the Salvation Army, Save the Children and the Coastal Bend Food Bank. 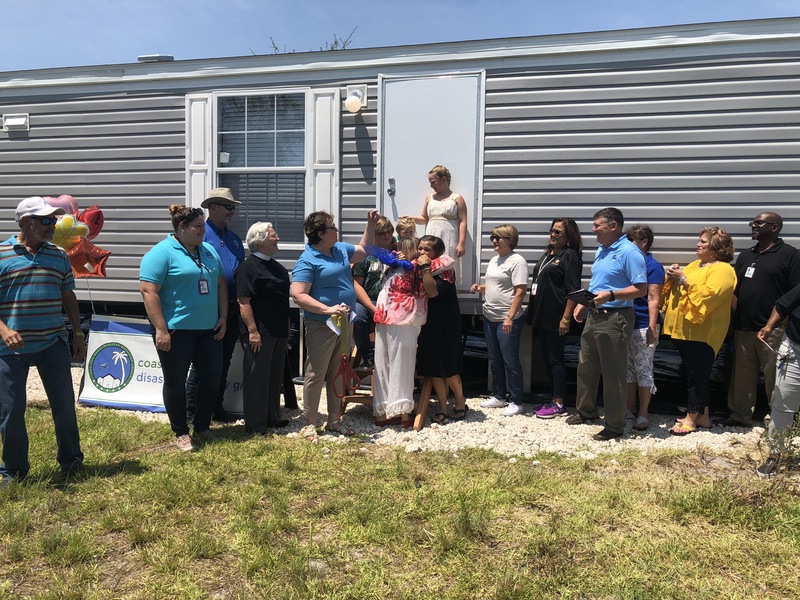 “To be able to provide a family, on the eve of the anniversary of the hurricane, a home is truly heartwarming. Especially knowing that they’ve been homeless since the actual hurricane themselves. They’ve been living in a hotel awaiting someone to help,” Phipps said. For an emotional mom, there were few words to describe how she felt.